Little Sid: The Tiny Prince Who Became Buddha Review – AiPT! A children’s book that draws inspiration from Buddhist theology. Because I am neither a parent nor educator, I seldom read children’s books. With that said, when the opportunity to review First Second Books’ Little Sid: The Tiny Prince Who Became Buddha arose, I was immediately intrigued. I had never read any children’s books centered around Buddhism before this one, but the decision to write about Siddhartha Gautama (referred to here as “Sid” for short) as a child seemed an interesting one. Gautama didn’t achieve enlightenment and begin teaching followers until his adulthood, so I was curious how the book’s creators would incorporate Buddhism’s ethics and themes into a story starring his younger self. 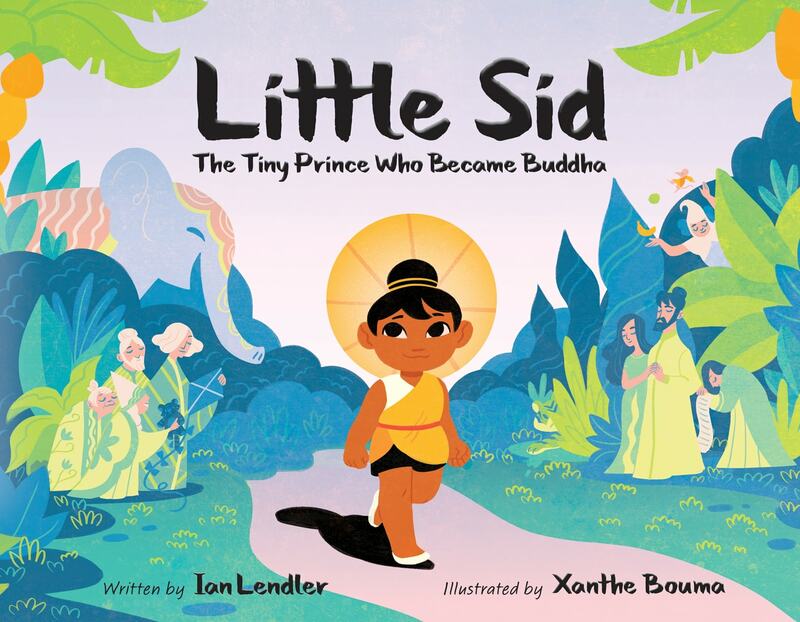 Does Little Sid: The Tiny Prince Who Became Buddha do so successfully? From a design standpoint, this book excels. The font size choices are perfect for if one wanted to read the book to a child, and the sentences are positioned in such a way that they never cover up the artwork’s more pivotal detail. There was clearly a great deal of thought put into all the compositions, and Little Sid feels very polished as a result. The creators’ care for their work is evident on the page. Ian Lendler is the book’s writer, and I’m impressed with how well he weaves Buddhist doctrine into the story without ever making the narrative seem preachy or even explicitly instructional. Little Sid, a child of monarchs, gets any material objects he ever asks for, but he still struggles emotionally. Because of this, he goes out on a journey to find happiness. The lessons Sid learns on his journey relate directly to key Buddhist teachings, but they do so in a way that any child could immediately understand. The concept of suffering as resulting from feelings of attachment and impermanence might sound like a mouthful, but Lendler covers the topic skillfully and with simple language. My favorite portion of the book is when Sid encounters multiple wise elders and they talk about how both his sadness and his joy will pass. It’s a poignant acknowledgment of life’s constant shifts, and it doesn’t come off as overly pessimistic or optimistic. The colors in this book are fantastic. With all that said, the story wouldn’t be nearly as engrossing if it weren’t for illustrator Xanthe Bouma’s work. The colors are bright and a lot of fun; the lack of black outlines helps keep everything vibrant. The various plants are particularly pleasing to look at, as is a tiger that shows up near the end. Sid and the other characters also have very well-rendered facial expressions. From the humans to the vegetation to the animals and more, every aspect of Little Sid’s world is charmingly drawn. As good as this book is, I still have some qualms with it. My main issue is with the pacing; the falling action and conclusion happen so quickly that there’s a slight sense of whiplash. There’s also an unfulfilled Chekhov’s Gun moment. Sid learns of a mountain with three wise ones, but he only meets two people there. If Sid himself of one of the animals present was meant to be the last wise one, then that wasn’t made clear. Sid’s moment of clarity also felt a bit underwhelming. Part of the point of it was that there’s joy to be found in everyday moments, but the build-up still felt a bit lacking for such a pivotal plot point. Overall, Little Sid: The Tiny Prince Who Became Buddha is an enjoyable read. I’m already familiar with Gautama’s personal history and the basic tenants of Buddhism, but I think this book would also be easily understood by people who aren’t. Lendler and Bouma bring some of Buddhism’s core concepts to life vibrantly without ever making the story feel dense or inaccessible. You don’t have to be Buddhist to enjoy this book; if you’re looking for a fun and aesthetically pleasing read with good morals to teach your child, then I definitely recommend Little Sid. Little Sid is a wonderfully illustrated book that draws upon Buddhist beliefs to craft a story that anyone could enjoy.